Start saving over 50% of your feed costs now! Take control of your livestock feed costs and grow your own healthy, fresh, hydroponic fodder year round with a FodderPro Feed System from FarmTek. Our hydroponic feed system is designed to rapidly produce highly nutritious fodder at a low cost, in a compact growing area and with minimal labor. Feeding sprouts grown in a FodderPro Feed System will improve the health and general performance of your livestock and reduce your feed costs by over 50%. Feeding fodder will result in higher milk production in dairy cattle and increased natural weight gain in beef cattle and youngstock. 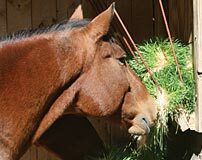 Horses are natural grazers. 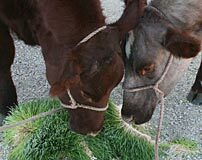 Adding fresh fodder sprouts to their diet offers nutritional benefits and will reduce the recovery time needed after hard work. 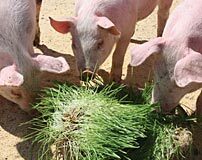 From improved behavior and temperament to faster weight gains, fodder will benefit your swine operation and lower feed costs. 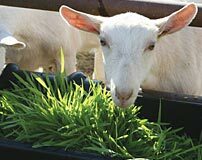 Whether you raise goats for milk or meat, supplementing with fodder offers nutritional advantages and will improve the quality of your end product. FarmTek offers stock systems and custom-designed solutions. No matter how much fodder you need, FarmTek will build to suit you. Conveniently review operating costs related to each FodderPro Feed System and discover more about where you can buy these systems. Learn more about the FodderPro Feed System and growing hydroponic fodder by viewing our most frequently asked questions. 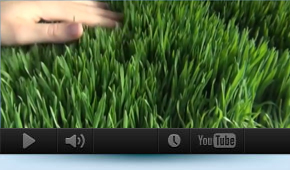 Visit our video gallery to view informational videos about the benefits of hydroponic fodder for livestock, our systems, videos about how to grow fodder, fodder success stories and more.